Originally from Cracow, Poland, Norbert Palej has been increasingly recognized for his “first-rate and genuinely original work” (American Composers Orchestra), and a musical language that generates “visceral excitement” (The Boston Globe). “Palej eclipses Lutoslawski”, writes Montreal’s La Presse, while The Gazette calls his work “riveting” and Musical Toronto: “fascinating”. His recent CD was nominated for a JUNO Award. Norbert Palej is Associate Professor of Composition and the artistic director of the annual New Music Festival at the University of Toronto. He holds composition degrees from Cornell University (D.M.A. ), The Juilliard School (M.M. 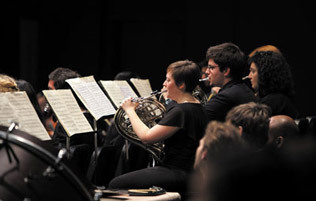 ), and the New England Conservatory (B.M.). He is also an active concert pianist and conductor. Recent commissions include an orchestral work for the Kitchener Waterloo Symphony, operas for the Tapestry New Opera and the Canadian Children's Opera Company, two string quartets for the Penderecki String Quartet, a percussion concerto for Dame Evelyn Glennie, a song cycle for the Canadian Art Song Project, chamber pieces for NEXUS, 2X10, and New Music Concerts, as well as a choral work for Soundstreams Canada, featuring the Elmer Iseler Singers, the Polish Chamber Choir, and the Toronto Children's Chorus. His music has been heard in Canada, the USA, Thailand, Poland, Norway, Germany, Italy, Brazil, Austria, Hungary, Great Britain, Costa Rica, and across China. 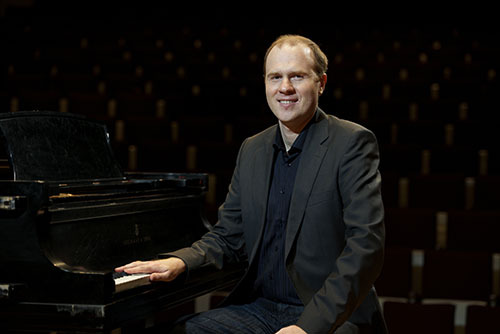 A guest composer at the 2012 Beijing Modern Music Festival, the 2013 Thailand International Composition Festival, and the 2014 Sichuan Conservatory Sun River Festival, he is a recipient of the Toru Takemitsu Award from the Japan Society in Boston, the ASCAP Morton Gould Young Composer Award, the Robbins Family Prize in Music Composition, the Benjamin Britten Memorial Fellowship, the Susan and Ford Schumann Fellowship and Ontario and Toronto Arts Council Recording and Commissioning grants. He participated in the Tapestry New Opera's Composer-Librettist Laboratory, the Minnesota Orchestra Composers Institute, the American Composers Orchestra Underwood New Music Readings, the Academy for New Music and Audio-Art in Tyrol, Austria, the International Workshops for Contemporary Music Krakow/Stuttgart, as well as the Tanglewood, Aspen, Caramoor, and Budapest music festivals. Palej is a member of ASCAP, the Canadian Music Centre, and the Polish Composers' Association (ZKP).